Last week we got our very first look at Patty Jenkins’ next DC movie, Wonder Woman 1984—and learned that somehow, Chris Pine’s Steve Trevor will be appearing in the movie, despite his rather explosive exit in the first film. 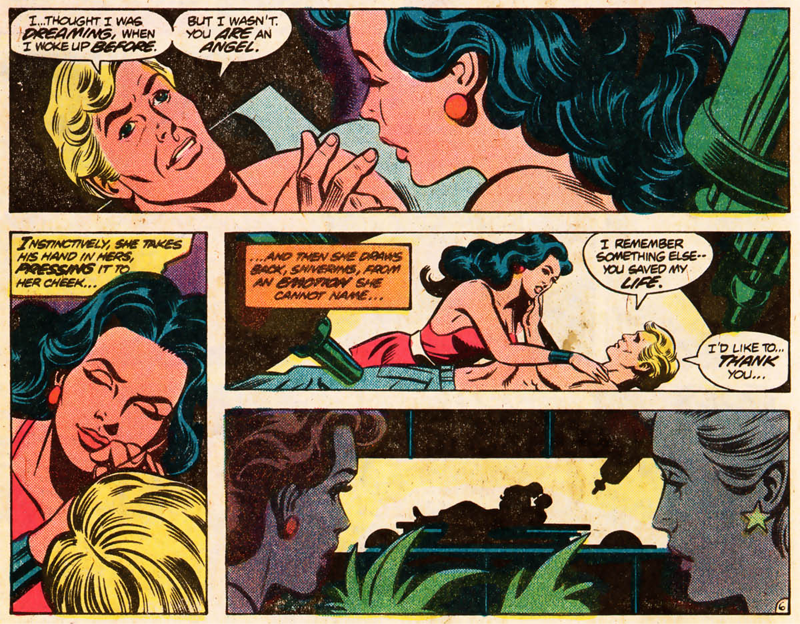 But it’s not really the first time Wonder Woman’s most famous love interest has cheated death. In fact, being reworked and rebooted—or given some very weird, time-bending familial lines—is sort of Steve’s thing. Although in several incarnations his background in the military has stayed the same (he started out in US Army Air Corps Intelligence in the Golden Age, before being a Major in the US Army for much of the Silver Age), early on there were actually several versions of Steve in Diana’s life. After Wonder Woman briefly gave up her powers to be with him in the ‘60s, the original Steve Trevor was killed off in 1969. Almost a decade later, Steve was resurrected as a brown-haired man named Steve Howard, but that lasted only a year—before it was revealed that this Steve was actually the god Eros, who’d inhabited Steve’s body after seeing Diana’s grief over his death, leaving Steve to “die” a second time when Eros was removed from his body. Yeah. Oh, and then Aphrodite, for good measure, wiped Alt-Steve’s memories entirely and transplanted the memories of the original, twice-dead Steve into him, kind of restoring the original to life once more. The good news is that none of this technically matters in the scheme of things, as it was all swept away just a few years later when Crisis on Infinite Earths completely rebooted continuity. The new Diana had a closer legacy with Steve’s mum, who crash-landed on Themiscyra in the past and made a heroic sacrifice that inspired Hippolyta to name her own child Diana. 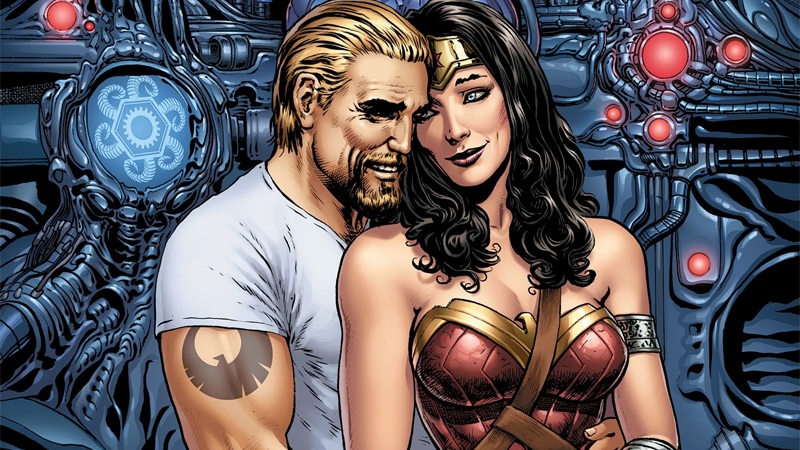 The Steve of the Post-Crisis world was actually much older than the previous Steve, and while he and Wonder Woman became friends and allies, they didn’t develop a romantic relationship—instead, Steve retired from military service and married his former assistant (and friend of Diana’s), Etta Candy. Starring Lynda Carter, the Wonder Woman show ran for three seasons, but it’s actually split across two different time periods: season one was set during World War II, and saw Diana team up with Steve Trevor, a US Air Force officer played by Lyle Waggoner, to fight the Nazis. 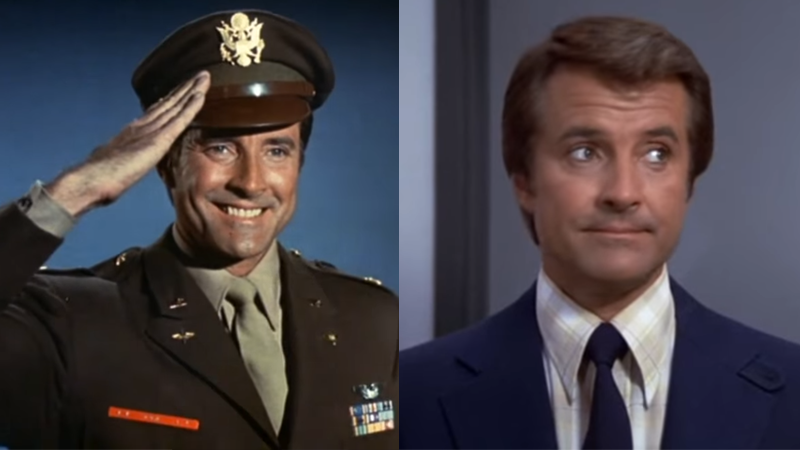 But seasons two and three transplanted the show to the modern era of the ‘70s... except Diana still teamed up with Steve Trevor, a USAF officer... still played by Lyle Waggoner. They weren’t the same character, despite the fact they fit the exact same role in the show and were both played by Waggoner—they were father and son, which is juuuust enough of a stretch to explain the uncanny similarity. Some say we grow up to be our parents, but in Steve Junior’s case, it was literal! We’ll have to wait and see how Wonder Woman 1984 handles it—so far, all we know is that Pine is indeed back for the sequel as a man who looks exactly like Steve Trevor. But whatever the film ends up doing, it’s got plenty of inspiration from Wonder Woman’s past to rationalise his return.